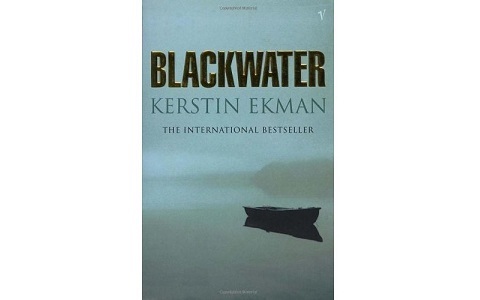 Blackwater was recently named the best Swedish crime novel of all time, but I do not agree. However, the novel is not bad and large parts of it are good. Kerstin Ekman is very skilled at portraying different atmospheres. Many scenes are dripping with “feeling”! There is a scene with a boy that is stuck in a well that gave me goose bumps (and that is a difficult thing). No, it is the characters that I have a problem with. I cannot relate to a single character. I do not understand them! Large parts of the novel are supposed to take place in the 1970s in a village in northern Sweden, but I am imagining a foreign country filled with people I cannot understand. The plot is very simple, but is told from a number of different perspectives and also jumps around in time, which creates suspense that would not be present otherwise. The readers often have more information that the characters, which would have been great if I only had understood why they are acting the way they do. In the early seventies Svartvattnet is a languishing village in northern Sweden among many others. On Midsummer’s Eve Annie and her daughter Mia arrives with the bus from Stockholm. Dan is supposed to greet them but he never arrives. Tired and disappointed Annie and Mia go into the woods to try to find the cottage where they are going to stay. Despite the map and the bright night they get lost and Annie looks for help in the blue tent by the water. Eighteen years has passed since the horrific double murder. Eighteen years, and it is not until now that someone is starting to suspect the truth behind what cast its dark shadow over the small village. And then it becomes dangerous again. The event has become a dark force affecting many people’s lives. An ok novel but which, in my opinion, is suffering from a set of characters that are difficult to relate to. The plot is simple but has a twist that the readers find out about way before the characters (which is original and work really well).